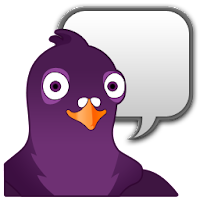 Pidgin is an open source IM messaging client that includes a wide range of benefits to users. It is available for Linux, Microsoft Windows and Mac OS X operating systems. XMPP/Jabber, IRC, ICQ, AIM, Gadu-Gadu, SILC, Google Talk, MySpaceIM, Zephyr, Bonjour, MXit, Sametime, Groupwise, MSN, SIMPLE, Yahoo!, Yahoo! Japan, and Facebook. Similar to other IM's these also contains custom smileys,room list, sending files, moods, sounds, custom themes and many more. 2.10.12 was accidentally released with new additions to the API and should have been released as 2.11.0. Unfortunately, we did not catch the mistake until after 2.10.12 was released, but we're fixing it now. See ChangeLog.API for more information. media: fix an issue with ximagesink displaying only a corner cut-out of a larger webcam video. mediamanager: update output window destruction so that it reflects recent changes in the media pipeline structure. Ported Instantbird's CommandUiOps to libpurple.